Greetings! 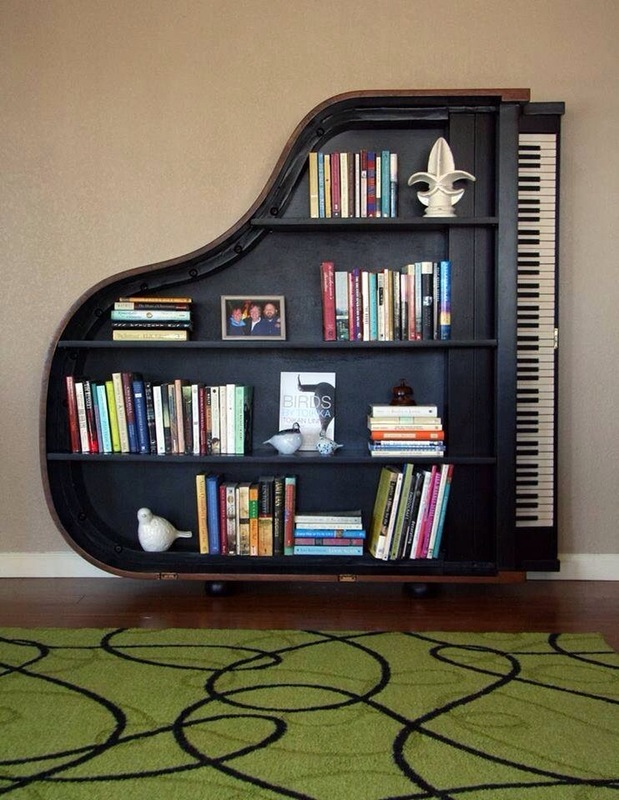 Just a quick photo to share: If I had a spare grand piano (that no longer worked) I’d certainly be making use of it in this way. Thanks to ABC Classics for sharing. This entry was posted in Thankyou for the Music and tagged books, piano. Bookmark the permalink. Hi ros, i know someone wanting to sell a Grand -not sure how much (not too much I think). Pingback: 20 gedachte neu, dass DIY Projekte verfolgen Musikinstrumente – Deco Idea!